Tired of the overwhelm? Sick of being stressed? Let me guess, you're juggling #allthethings for your clients and customers, leaving no time to work on your own business. You're drowning in your to-do list, barely making a dent each week. Your business used to energize you, but now it just leaves you drained. 20 influencers share how they've found more freedom, joy and growth in their business by taking back what matters to them. 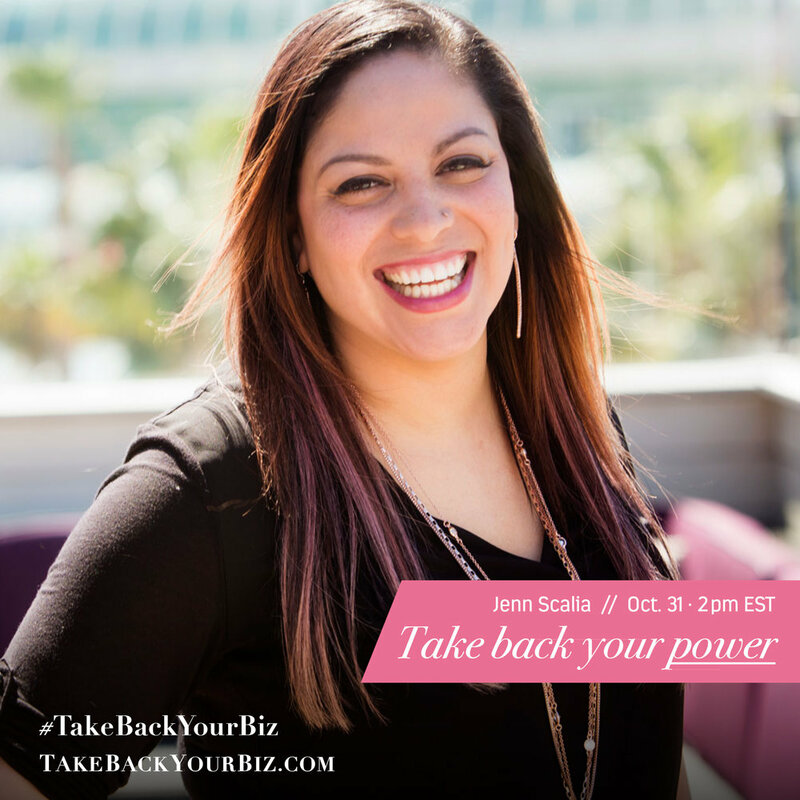 Learn how to take back your business, so you can ditch the overwhelm and find more success with less stress! Like free stuff? How about free strategy sessions, resource memberships, workbooks and more! Over $2000 worth of giveaways! 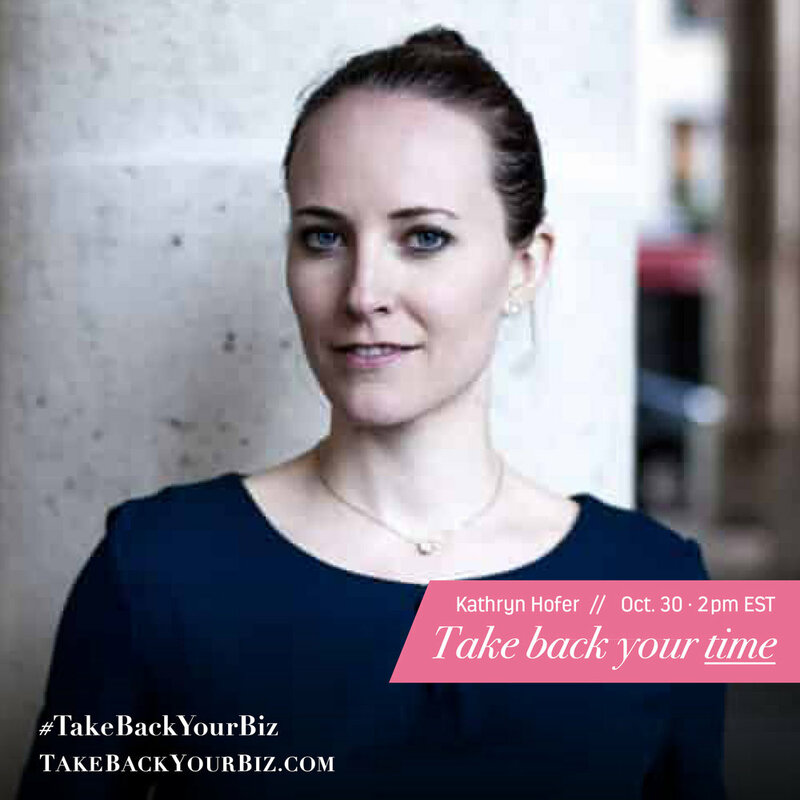 Are you ready to #takebackyourbiz? Get free access to the summit and challenge... be automatically entered into our epic giveaway! 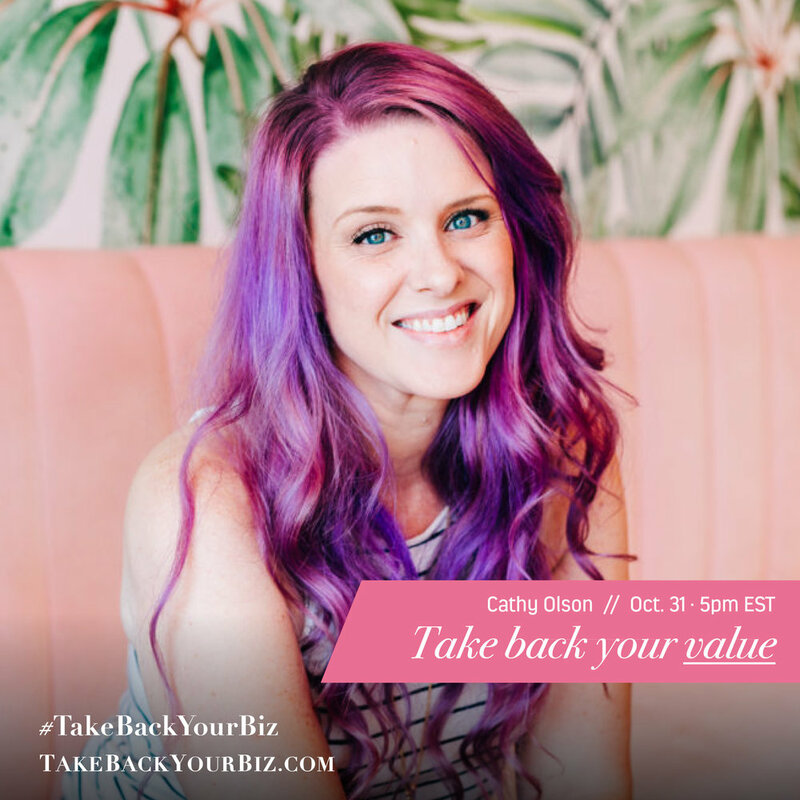 20 industry influencers share how they've gained more freedom, joy and growth in their businesses by taking back what matters to them! 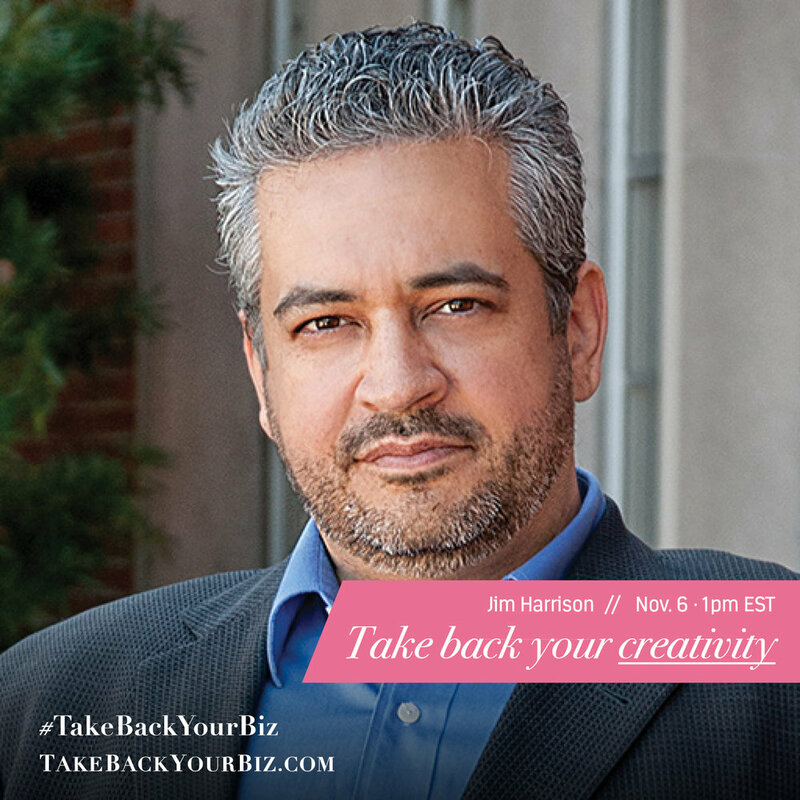 Learn how to take back your time, purpose, value, creativity and more! Gain FREE Access to Summit! // Kyrsten Sherwood · Copper Kettle Co.
// Kate Boyd · Cobblestone Creative Co.
During this 3-day challenge, I'll take you through my "nucleus principle" — the very process I used to overcome burnout and fall back in love with my business. Learn to set goals that align with your long-term vision, so you know exactly what action steps to be taking now. Discover what’s working and what you can let go in order to get bigger results. Set your priorities to take back your business (and your life). Join the challenge and be automatically entered into our epic giveaway! Earn bonus entries for participating in our Ideas to Impact Entrepreneurs Facebook group discussions. 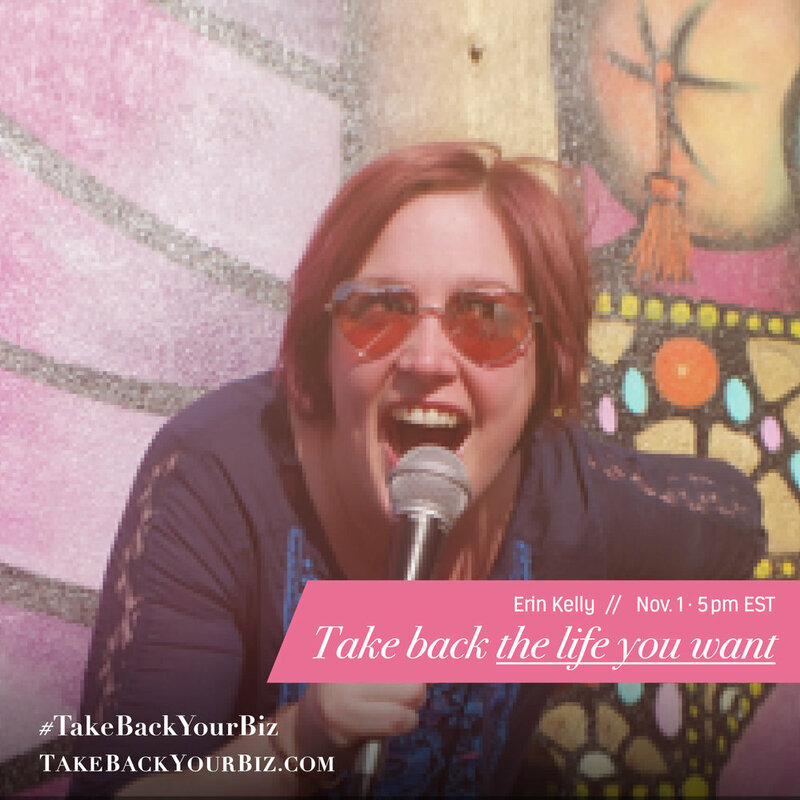 I want to take back MY biz! There’s no party without presents! We have some amazing giveaway items with over $2000 worth of prizes! Sign up for the summit/challenge to be entered... then earn more entries by participating in the challenge in our exclusive Ideas to Impact Entrepreneurs Facebook group!